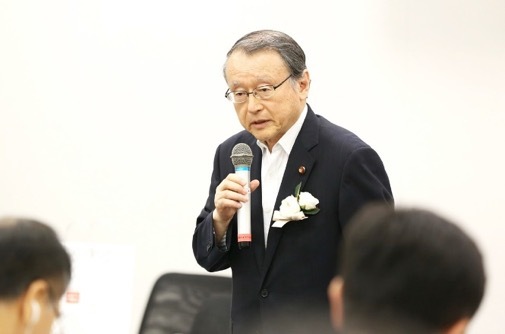 Action for Korea United (AKU) recently celebrated the opening of their Japanese branch in Tokyo, which represents a key milestone in drawing regional support for the peaceful reunification of the Korean peninsula. Eiko Kawasaki and Kenneth Bae were among the prominent civic leaders in attendance. Given their life experiences, it is not surprising that both have joined forces with AKU in reunification efforts. Ms. Kawasaki and Mr. Bae have led extraordinary lives that reveal the resiliency of the human spirit and the ability to turn suffering into a life of service to others. 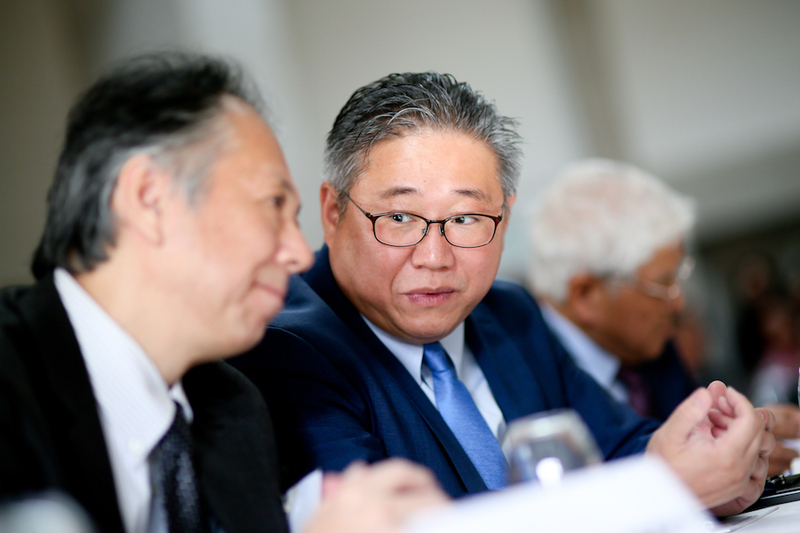 Kenneth Bae is a Korean American who left his home in the United States with only 100 dollars in his pocket to serve as a Christian missionary in China and eventually in North Korea. In 2011, he brought Christian missionaries from around the world to visit and connect to the people of North Korea, whom he saw as his brothers and sisters. On his last trip to North Korea, he was unexpectedly detained and eventually convicted of allegedly planning to overthrow the government. Despite his suffering and deteriorating health at a hard labor prison camp, Mr. Bae remained optimistic and found inner strength through his faith in God. In 2014, North Korea released him, and a few years later Mr. Bae founded a global nonprofit NGO, Nehemiah Global Initiative, to help North Korean defectors rebuild their lives in South Korea. Eiko Kawasaki is an ethnic Korean, born and raised in Japan. After WWII, Mrs. Kawasaki returned to her parent’s homeland as a teenager with the hope of attaining economic prosperity only to find that the poverty in North Korea was worse than she had experienced in post-WWII Japan. Ms. Kawasaki endured many hardships over the course of 43 years living in the North until she defected to China and eventually returned to Japan with the help of her brother. Since then, she has dedicated her life to raising awareness of the human rights issues in North Korea and has started an NGO, Korea for All, to help North Korean defectors adjust to life in Japan. On June 18, 2018, AKU held a commemorative forum for the establishment of their Japanese branch at the First House of Representatives of the Tokyo National Assembly sponsored by One Korea Foundation. Attendees included Mr. Bae, Ms. Kawasaki, members of AKU’s South Korean branch, members of political parties as well as civic leaders, and other North Korean defectors living in Japan. Other notable speakers at the forum included Masaharu Nakagawa, a member of the Japanese House of Representatives, Chung Hwan Kim, Co-Chair of AKU, Dr. Jai-poong Ryu, President of the One Korea Foundation, Dr. Chan Il Ahn, Director of the Center for Global North Korean Studies and Co-Chair of AKU, and In-Teck Seo, Co-Chair of AKU. A spirit of solidarity in contributing to the peaceful reunification of the Korean peninsula filled the National Assembly Hall as Japanese officials and civic leaders from all walks of life celebrated the founding of the Japanese branch of AKU. Though reunification of the two Koreas is a crucial step to achieving lasting peace on the peninsula, AKU recognizes the importance of first articulating a shared vison for the nation that affirms a common identity for Koreans in the North and South. Derived from Korea’s rich, spiritual heritage, the ideal of hongik ingan, meaning to broadly benefit all humanity, is a guiding, universal principle for a shared vision of a free and prosperous Korea. AKU is reconnecting to this shared heritage and empowering the Korean people to lead the way in the process of reunification. Thus, the Japanese branch of AKU will interact closely with Korean civic groups and reach out to the international community to draw support for these Korean-led efforts for reunification. Learn more about Action for Korea United and sign up for monthly newsletters to get the latest on Korean reunification from Global Peace Foundation.